Our initiatives are developed with the help of Bridges to Community staff as well as recommendations from community members and leaders in Rosa Grande. Our specific accomplishments this year were conducting art classes with young students and computer workshops with teachers. We also helped build latrines, pro-respiratory stoves, and the beginnings of the new community library. SIFE: Nicaragua seeks to foster community dialogue between Rosa Grande and Pittsburgh, and the opportunity to use Gigapan allowed us to map out the community in a way that is accessible to the public on a global scale. Understanding the layout of Rosa Grande is not only helpful for our own group members to plan future projects, but it also served to capture the community at a critical time of growth and transition. Community members were quite interested and inquisitive about the Gigapan equipment. When I used the Gigapan to photograph the education buildings, the students were eager to appear in multiple shots! Parents and community leaders were also excited about being able to view the Gigapans online, as Rosa Grande recently acquired laptops and (limited) internet access through the European Union. While the Gigapan equipment is quite easy to use, there were still unanticipated setbacks that hindered my ability to take more images. The lack of access to a steady electrical supply made it difficult to recharge the Gigapan scanner and digital camera. I also had to account for poor lighting conditions, as few homes can afford lighting, and prevent the stray farm animal from knocking over the tripod as I shot images. However, these inconveniences were an important reminder of the many resource limitations that rural communities face as they establish development projects. 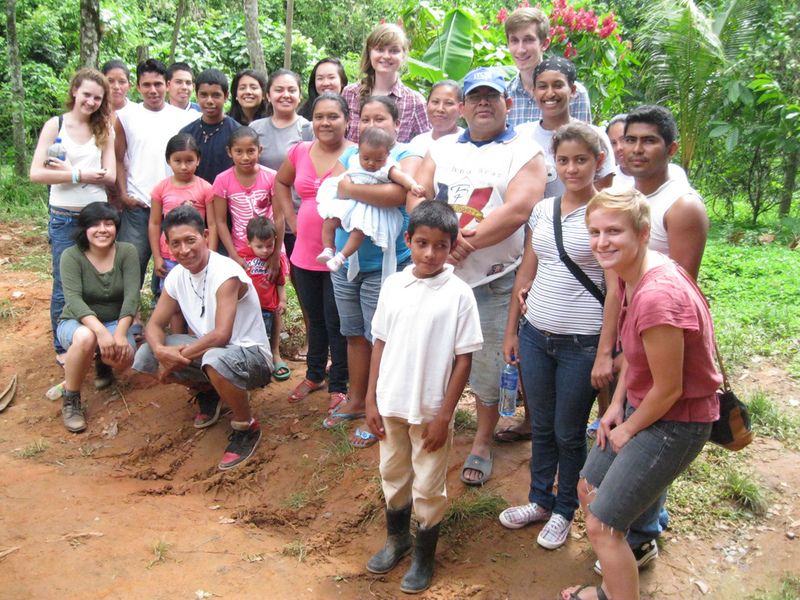 People in Rosa Grande have experience with using visual methods to identify areas of social need. 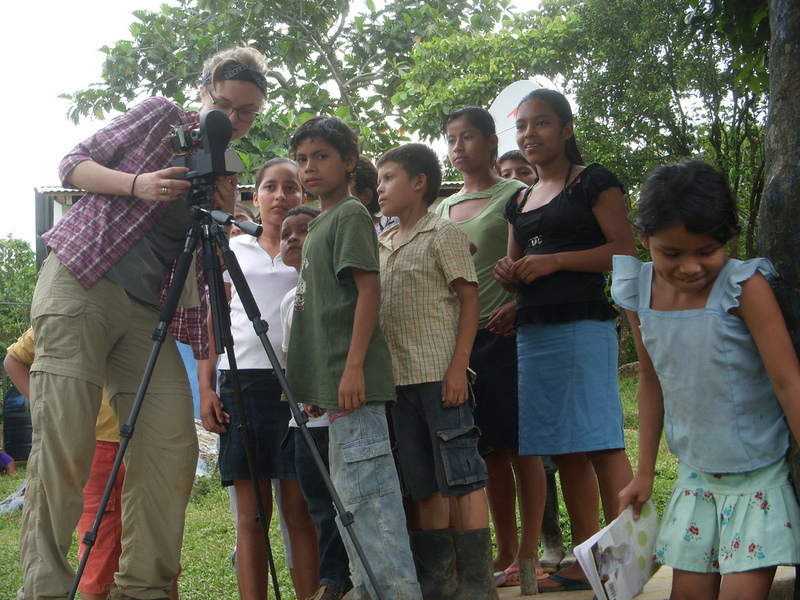 In addition to the SIFE: Nicaragua art workshops, local citizens have also collaborated with a group from the University of Virginia using PhotoVoice photography methods. If the Rosa Grande's internet accessibility improves, then the Gigapan website can be another method for crowd-sourcing solutions and providing informed perspectives about life in Rosa Grande. I also hope that the Gigapans will convey the commitment and passion evident in the many community-driven projects, from stoves to art classes. This shows me taking a Gigapan of the school and talking with students about the project.